If you’re a UCLA football fan, you should remember Kai Forbath, arguably the best kicker in UCLA history, up there with the likes of John Lee. After being projected as the second-best kicker in the 2011 NFL Draft, Forbath was not selected. However, on August 2, 2011, he signed with the Dallas Cowboys as a rookie free agent, and was subsequently placed on the reserve/non-football injury list. He was waived on April 16, 2012. The Washington Redskins signed Forbath on October 9, 2012, replacing Billy Cundiff. Forbath made his NFL and Redskins debut in an impressive fashion, knocking through a 50-yarder as his first career NFL field goal in the home game against the Minnesota Vikings on October 14, 2012. He was also a perfect five of five on extra points, as the Redskins defeated the Vikings 38–26. His performance was essential in the Redskins’ victory over the Baltimore Ravens in Week 14, where he recorded 48 and 49-yard field goals and then a game-winning 34-yard field goal in overtime. Question: How stupid do you think Dallas must feel? As a relatively frequent traveler with a computer bag, I laughed at this until I realized how often I put my PC down. Bitlocker-encrypted or not, if I were to lose my laptop… whoaaaanelly. My only saving grace would be that I use the cloud for the frequent backup of my data but damn is this easy. If you’re like me, you’ve probably spent a good part of the holiday catching up on the movies & TV that… well… you wish you had the time & energy for during the rest of the year. 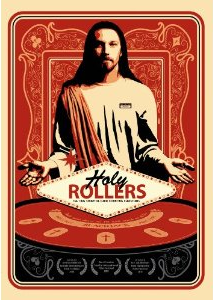 This season, I got the chance to hunker down on my DVD collection, Netflix, and Xbox Live Video and start viewing away. Yay! ‘Indie Game: The Movie’ is the Sundance Award Winning Feature documentary about Video Game Designers. 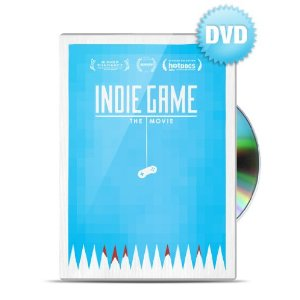 Indie Game: The Movie is the first feature documentary film about making video games. It looks specifically at the underdogs of the video game industry, indie game developers, who sacrifice money, health and sanity to realize their lifelong dreams of sharing their visions with the world. After two years of painstaking work, designer Edmund McMillen and programmer Tommy Refenes await the release of their first major game for Xbox, Super Meat Boy-the adventures of a skinless boy in search of his girlfriend, who is made of bandages. At PAX, a major video-game expo, developer Phil Fish unveils his highly anticipated, four-years-in-the-making FEZ. Jonathan Blow considers beginning a new game after creating Braid, one of the highest-rated games of all time. Four developers, three games, and one ultimate goal- to express oneself through a video game. Indie Game: The Movie is about the creative process and putting yourself out there through your work. It’s a journey many filmmakers, creators, artists, entrepreneurs – many people, can relate to in the digital era. 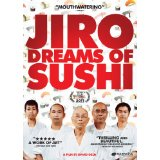 Jiro Dreams of Sushi is the story of 85-year-old Jiro Ono, considered by many to be the world’s greatest sushi chef. He is the proprietor of Sukiyabashi Jiro, a 10-seat, sushi-only restaurant inauspiciously located in a Tokyo subway station. Despite its humble appearances, it is the first restaurant of its kind to be awarded a prestigious three-star Michelin Guide rating, and sushi lovers from around the globe make repeated pilgrimage, calling months in advance and shelling out top dollar for a coveted seat at Jiro’s sushi bar. Jiro Dreams of Sushi is a thoughtful and elegant meditation on work, family, and the art of perfection, chronicling Jiro’s life as both an unparalleled success in the culinary world and as a loving yet complicated father. 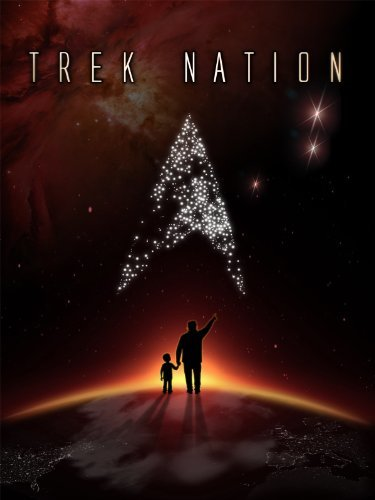 The documentary “Trek Nation” explores “Star Trek” creator Gene Roddenberry’s vision and its impact on viewers’ lives through the eyes of his son Eugene “Rod” Roddenberry, Jr., who is on a quest to know his father whom he lost at age 17. Since first soaring onto television screens in the 1960s, Star Trek has become one of the most beloved franchises of all time. 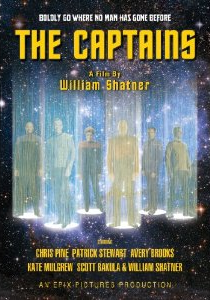 Now, the original Captain Kirk, William Shatner, travels around the globe to interview the elite group of actors (Chris Pine, Patrick Stewart, Avery Brooks, Kate Mulgrew and Scott Bakula) who have portrayed the role of Starship Captain, giving fans an exclusive behind-the-scenes look at the pop culture phenomenon as well as the men and women who made it so. Do you dream about beating the odds? 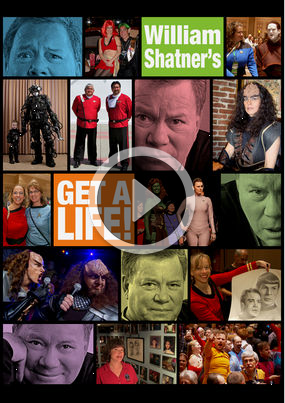 Then check out this fascinating documentary focusing on a group of six M.I.T. 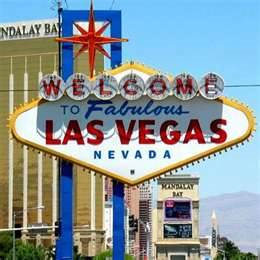 students who used their impressive math skills to win millions from Las Vegas’ gambling palaces. 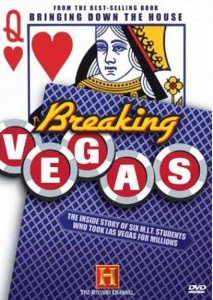 Through interviews with the card-counting collegians, security experts, and casino executives, you’ll learn how the young men pulled off the daring feat–and how they were eventually caught. 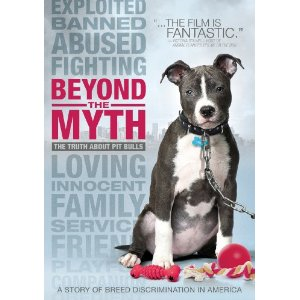 Based on the best-selling book “Bringing Down the House.” 75 min. Standard; Soundtrack: English Dolby Digital stereo; bonus programs. Dogs have been domesticated for longer than any other animal on the planet and humans have developed a unique relationship with these furry friends. We treat our pets like a part of the family and feel that they can understand us in a way other animals can’t. Now new research is revealing what dog lovers have suspected all along: Dogs have an uncanny ability to read and respond to human emotions. Humans in turn respond to dogs with the same hormone responsible for bonding mothers to their babies. How did this incredible relationship between humans and dogs come to be? And how can dogs so closely related to fearsome wild wolves behave so differently? It’s all in the genes. DOGS DECODED investigates new discoveries in genetics that are illuminating the origin of dogs-with big implications for the evolution of human culture as well. In Siberia the mystery of dogs’ domestication is being repeated-in foxes. A fifty-year-old breeding program is creating an entirely new kind of creature a tame fox with some surprising similarities to Man’s Best Friend. 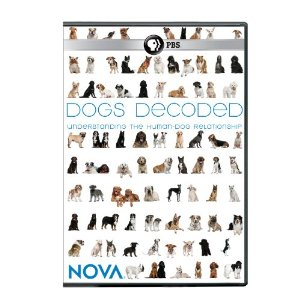 THE DOGS DECODED reveals the science behind the remarkable bond between humans and their dogs. 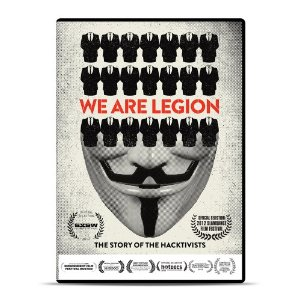 We Are Legion: The Story of the Hacktivists takes us inside the world of Anonymous, the radical “hacktivist” collective that has redefined civil disobedience for the digital age. The film explores the historical roots of early hacktivist groups like Cult of the Dead Cow and Electronic Disturbance Theater, then moves to Anonymous’ raucous and unruly beginnings in the online forum 4Chan. Through interviews with current members, members recently returned from prison, others currently facing trial, writers, activists and major players in various “raids,” WE ARE LEGION: The Story of the Hacktivists traces the collective’s evolution from merry pranksters to a full-blown movement with a global reach, the most transformative civil disobedience of our time. Each year, almost 5 million dogs end up in animal shelters – but not every dog is safe to place with a family. What if a shelter dog shows aggression, or is a known biter – should he be adopted out? 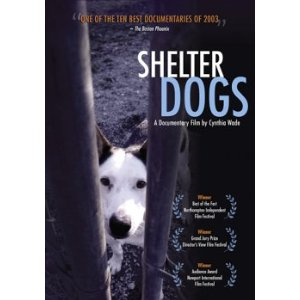 For two years filmmaker Cynthia Wade was given unprecedented access to Rondout Valley Kennels and its controversial owner Sue Sternberg, and the result is an award-winning film about ethics in a morally ambiguous world. Each year, 42,000 dogs are sold to veterinary schools and research labs by Class B dealers, who are required by federal law to buy the animals from pounds, shelters and small breeders and to treat them humanely. However, many Class B dealers violate the law. 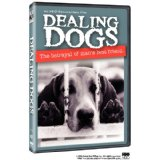 DEALING DOGS exposes the abuses that took place at one of America’s most notorious Class B dealers – Martin Creek Kennel in Arkansas. Patriocracy, a voice of reason in the age of polarization. Patriocracy is a non-partisan examination of Washington dysfunction. Alan Simpson, Bob Schieffer, Eleanor Clift, Pat Buchanan, Senator Mark Warner and Senator Kent Conrad are just a few of the notable Washington personalities who offer their valuable perspectives. 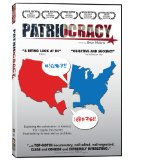 Patriocracy drills down and illustrates the forces that drive a wedge into the middle ground of America and the solutions required to move forward. The word orphan is troubling to most of us. It’s one of those words that instantly evokes visions of dastardly headmasters and wicked headmistresses. We imagine scenes of defenseless children grappling indelible scars of loneliness and abandonment, molding them into unfortunate victims of fate and neglect. These are fair preconceptions that are not without basis in the American experience. But there is another side to the story… Homecoming unfolds as a conversation between 15 men and women who grew up in four American orphanages. Their stories echo the experience of thousands of men and women, throughout the country, and around the world. In these intimate, moving and sometimes hilarious stories, the incredible resilience of humankind shines through in vivid relief. Ultimately what remains is a picture of the remarkable strength of those who found a family in the most unlikely of places. Interesting. Asking Quora about Google’s evilness produces are number of good points. 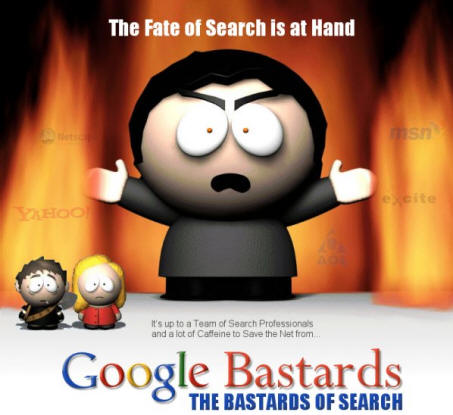 SEARCH AND DESTROY: Why You Can’t Trust Google Inc. I have a Kindle 3G. Y’know – the one with the keyboard? Been using it for a few years now & it’s treated me well, despite reading it in the hot blazing sun of Las Vegas… bringing it with me into the pool (in a waterproof Kindle holder, mind you)… and travelling all around the globe with it. But recently, I haven’t had time for it. I’ve spent most of my reading time on my Microsoft Surface or my HTC Windows Phone 8X, both of which have the Kindle app on them so using the Kindle 3G really isn’t necessary for 90% of what I need to do. So of course I lost track of it. I really didn’t know where it was… it’d been THAT long since I used it. Just yesterday, I started looking for it and lo-and-behold, it was behind my nightstand here it’d fallen after having been used for bedtime reading for quite a while. Completely drained of battery, I plugged it into my MicroUSB charging clock radio (it has a slot at the top with cables for charging USB peripherals) and of course it came up. 10 minutes later it’d downloaded all the books that I’d had queued up for delivery and away we go. Hold the power switch to the right for 20 seconds. Release. Press the Home button for 60 seconds. A “Reset” screen will appear. Hit the DEL key on the keyboard. This brought my unit back to a stable state, as if I’d done a reboot or a soft reset of the device. 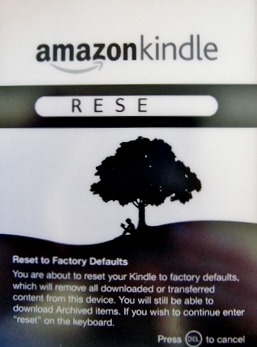 I’m told that if this doesn’t work, you have to do a hard reset of the device, which is the equivalent of wiping & resetting your Kindle. This procedure will wipe out all your books and require you to re-download them to your Kindle which, while not disastrous, will take time. It will also lose your bookmarks & settings. I’d point to the place where I found this information but I can’t for the life of me find it again. Kudos to whomever it was that documented this originally & I apologize for not cross-posting to you. Your article was indeed helpful. You are currently browsing the Kurt's Thoughts blog archives for January, 2013.